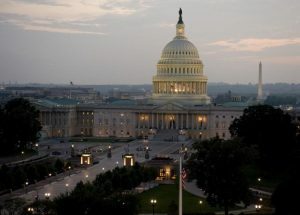 Bipartisan leaders in Congress reached an agreement last Sunday to fund the U.S. government through the end of the fiscal year in September, effectively bringing to an end any suspense related to a possible shutdown of the government next weekend. A vote still must be taken by all members of Congress, but the agreement includes more funding for the U.S. military as well as for security at the border. However it does not include any funding for President Donald Trump to build the wall along the border between U.S. and Mexico, which was one of the president’s biggest promises during his presidential campaign last year. This deal also includes an increase to the funding of the National Institutes of Health even though the White House requested that the budget be lowered for the remainder of this fiscal year. It allocated millions of dollars in reimbursement costs incurred by law enforcement agencies around the country that protect Trump along with his family. That is big for New York City, which must help protect the Trump Tower. This spending package, if passed, will be the first bipartisan measure of significance approved by the Congress during the 102 days Trump has been President. Republicans, despite maintaining control of both the House and Senate, along with the White House, could not pass any legislation of substance during Trump’s first 100 days in office. This agreement should spare GOP members the embarrassment of a shutdown while they are in control of Congress. However, it gives a good glimpse of how reluctant lawmakers are to bend to the spending priorities of Trump, such as a desire to make steep cuts in medical research funding. It leaves the wall at the border still over their heads to be fought over in future negotiations for spending, especially of Trump puts more pressure, as he promised to do at a Saturday night rally marking the first 100 days in the White House. No details were made public about the agreement Sunday night, but many congressional aides outlined some of its key parts. The agreement will be in force for the remainder of this fiscal year which ends September 30. Congress had taken action prior to keep the federal government operating while they put the finishing touches on the spending bill. Last Friday, Congress approved a spending measure of one week that averted Saturday’s scheduled start to the government shutdown.